We’re still amazed at the amount of business owners we meet who haven’t taken the time to invest in digital marketing. It seems like a no brainer, but there are still those individuals who are stuck in their ways and don’t want to change. This is a strategy that will only work for so long in today’s quickly evolving world where marketing tactics and trends can change on the daily. While you don’t have to be an expert in every category, it’s invaluable to have a basic understanding of the most effective digital outlets. Let’s looks at five strategies than can help business owners get their feet wet. We all know how easy it is to create a Facebook page and post content, but it’s simply not enough if you want to keep up in today’s quickly evolving world. Knowing the basics of social media advertising will put you far ahead of other business owners who don’t take the time to educate themselves. Facebook targeting has come a long way with it’s audience targeting capabilities and is arguably the most effective form of advertising when it comes to return-on-investment, or ROI. Advertising on social media costs a fraction of what you would pay for a traditional outlet, making the financial side of it a no brainer. We HIGHLY recommend taking the time to educate yourself on the basics, as it will likely put you far ahead of your competitors. If you’re website means anything to your business, having the proper knowledge surrounding search-engine-optimization is an absolute must. If your customers can’t find you, a sale will never take place. Optimizing your website content with targeted keywords is the first step you can take. Use the Google Adwords Keyword Planner to determine which keywords receive the most amount of search traffic. Other aspects of your website to look at are page titles, headers and Alt/Meta tags. All of these are taken into consideration when Google looks at your website and determines how relevant valuable it will be to users. Moz is one of our favorite resources for furthering knowledge of SEO, and we encourage you to check them out. P.S. Moz Whiteboard Fridays are one of our favorite forms of SEO education. With all of the technological advances in the marketing world, email remains incredibly valuable to marketing professionals. It’s a great way to directly reach people and gives you an opportunity to move them along in the sales funnel. There are a number of resources that offer free business templates that can take your email marketing efforts to the next level. To take it one step further you can invest in marketing automation, a system that sends a scheduled emails to potential buyers throughout the entire sales experience. P.S. Check out SharpSpring for marketing automation education. It’s going to be hard to measure your digital marketing efforts if you don’t understand the information you’re looking at. Facebook, Twitter and Google Adwords all have individual dashboards that offer a wide variety of analytics that can give you a better understanding of your efforts. Engagement, click-through-rates, and reach are just a few of the basics you can get in the habit of looking at. These metrics will give you a better idea of what type of content you should be publishing and sharing. As time goes on start looking at more specific metrics, such as conversion rates, cost-per-lead and bounce rate. The closer you pay attention to your metrics, the more successful you will be with your overall efforts. These five digital marketing strategies should get you in the right direction when it comes to promoting your business online. In a world where trends change on the daily, you can never be too ahead of the game. 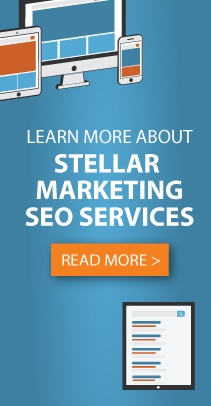 If you’re ready to start taking full advantage of digital marketing efforts, contact the team at Stellar to see what we can do for your brand.